Mike Peters is all set to perform two special acoustic storyteller shows in both New Jersey and Long Island. The first will be held at Crossroads in Garwood, NJ, on Saturday 29th September, and the second at My Father’s Place in Roslyn, Long Island, NT on Tuesday October 2nd. 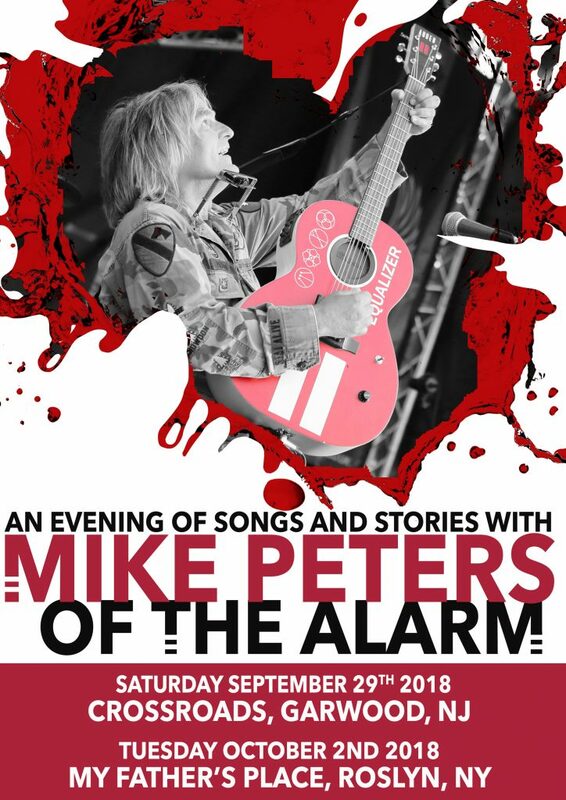 Attend Mike Peters of The Alarm Declaration and Equals recording session in Liverpool for National Album Day supported by the BBC.